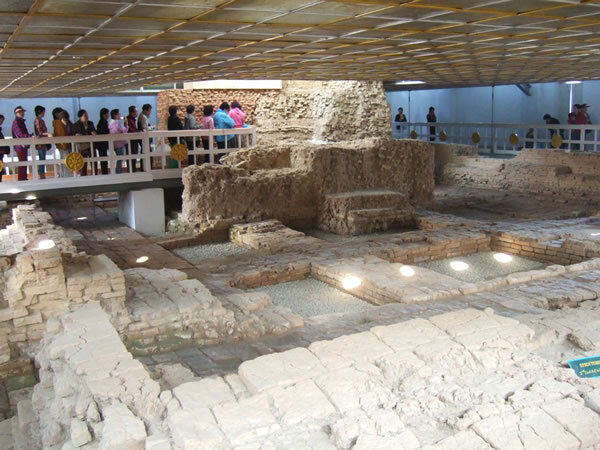 The place of His Passing Away. 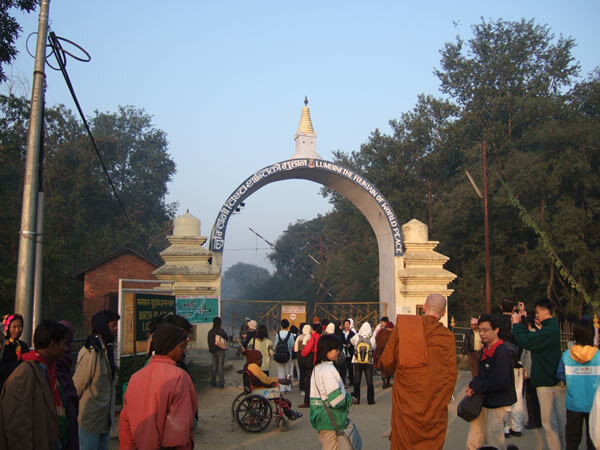 Entrance to Lumbini Park. 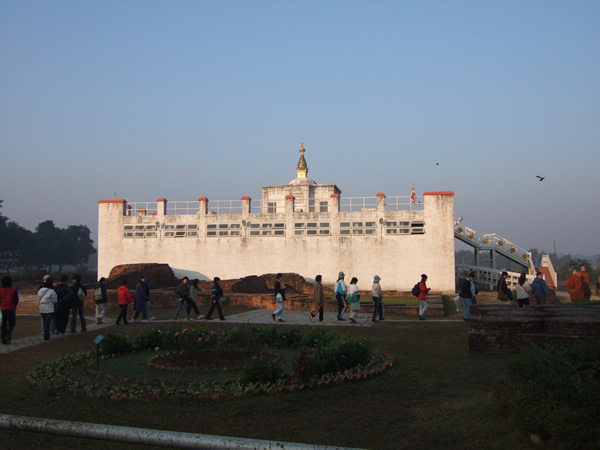 Lumbini is in Nepal, just across the border from India. 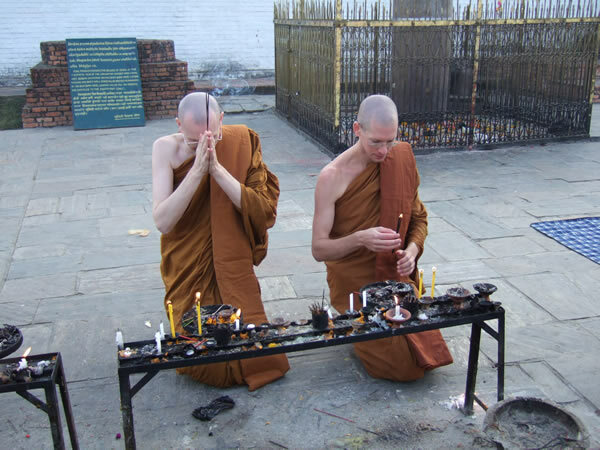 Offerings of incense and light. 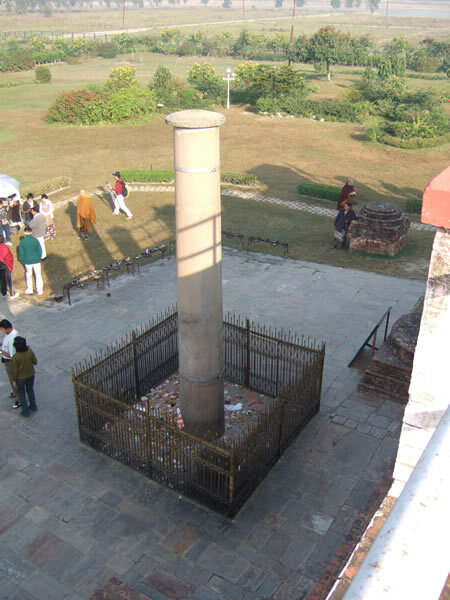 One of Asoka's Pillars, this one supposedly marking the exact spot of the Buddha's birth. 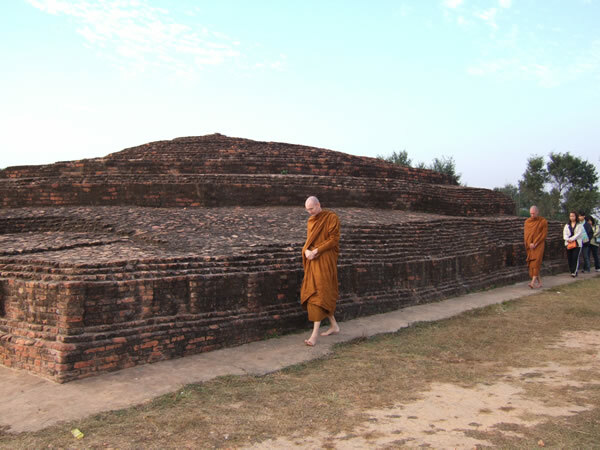 Remains of the stupa marking the location of one of the Buddha's palaces. 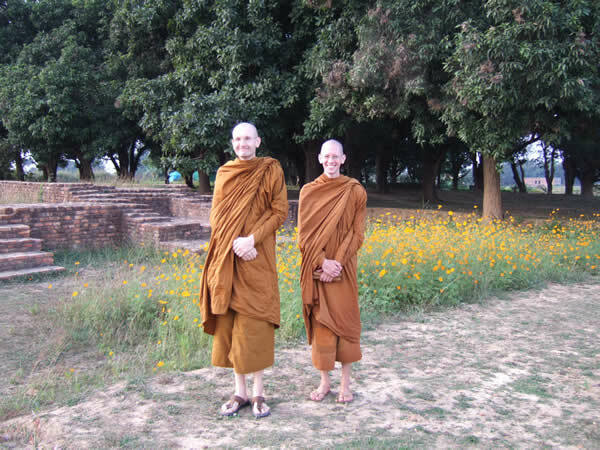 and Venerable Sannamo from Canada (right).